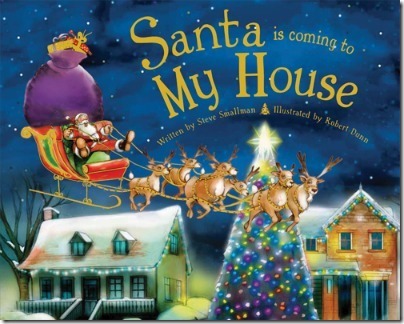 This is about a personalized Christmas book called Santa is Coming to My House by Steve Smallman and illustrated by Robert Dunn. Sourcebooks sent me a copy of the book to test out with my family. I love adding more books to my Christmas and Hanukkah collections and this is the latest book to be added. I love this book because it’s a simple story but still very sweet. There is no bad guy, nothing really major goes wrong, it’s just a nice story. Not only that but you can get a special edition of the book specific to where you live if you live in select places in North America. It’s not just the cover that is different either. 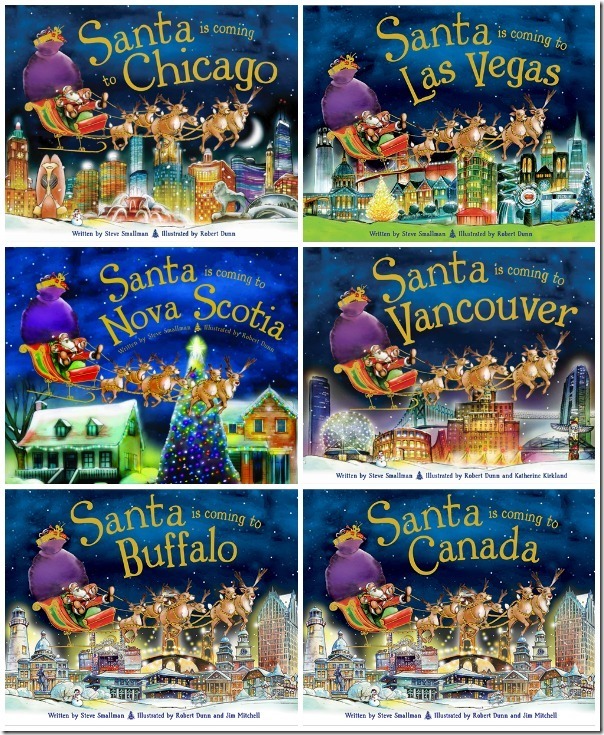 Santa flies over select landmarks in that city or place. or your local book retailer. The prices are different depending on where you purchase but you are looking at around $10 which is a great price.